Susan is the independent editor who combed through my manuscript sentence by sentence and word by word. She let me know where I was overusing words and phrases and where I could rephrase things to help the reader understand my point. Susan does all this—and much more—with a great attitude, always encouraging and uplifting. 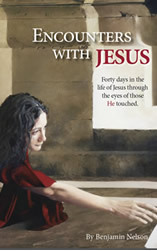 Because she is a Christian, she was able to offer the added benefit of knowing the gospel stories and could help us with the overall flow and message of the book. I can’t recommend her highly enough, but I’m hoping the work she has done with my book will speak for her. If you would like to get a free sample of her work, you can submit 750 – 1,000 words and she’ll make it shine. Select the cover to purchase Kindle Edition.